The HUE61PS Electric Cooker comes in a crisp white finish, boasting over 100 litres of cooking space across two ovens, enough for even a large family. The 4 ceramic burners provide room for all your pots and pans so the boiled vegetables and sauces are sorted too. The main oven is a fan oven which cooks food evenly as the air is circulated around your food, meaning you can stick everything in at once. And the top cavity can be used as grill or conventional oven giving you flexibility. Catalytic liners absorb grease before burning it away it’ll almost clean itself. Set the programmable timer to start cooking when you’re out and it can have your meal ready as you step in the door perfect when time is short. 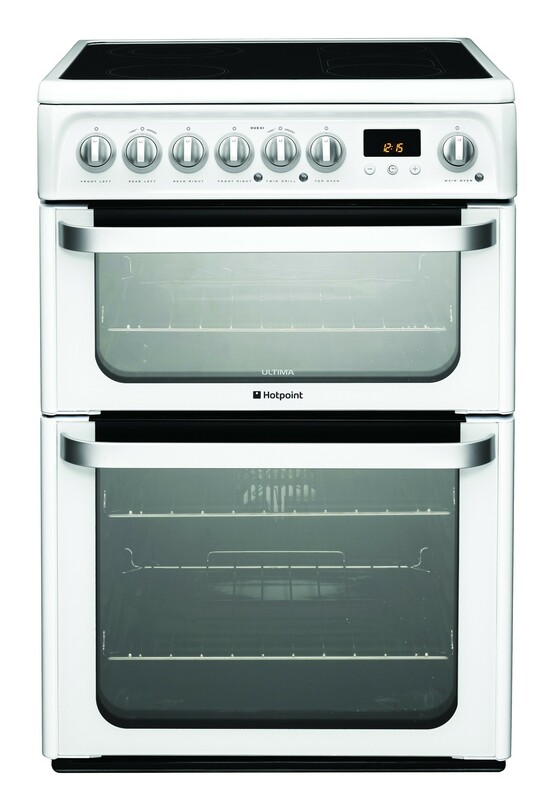 Both ovens are A rated for energy, making them extremely efficient and saving you money as well.